Dark Systems approached us with a unique challenge. Located in Alaska, it was not cost effective to warehouse and ship from their location to the continental US. They needed a solution that could account for complex multi-vendor shipping algorithms and firearm sales. XLEcommerce CloudCommerce Enterprise was the perfect fit. Not only did it provide the ability to promote their brand, it included the features they needed for shipping and fulfillment. 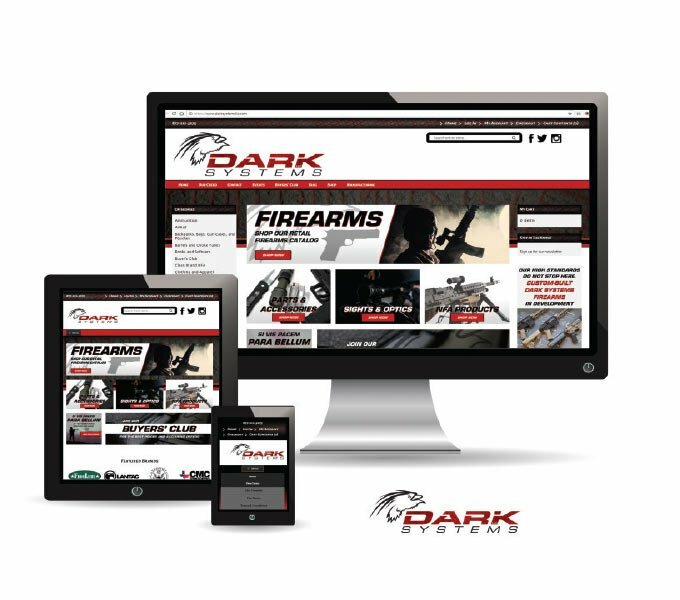 Dark Systems is a retailer and custom builder of AR-15 based rifles and Class III SOT equipment founded by a law enforcement officer and shooting sports competitor.